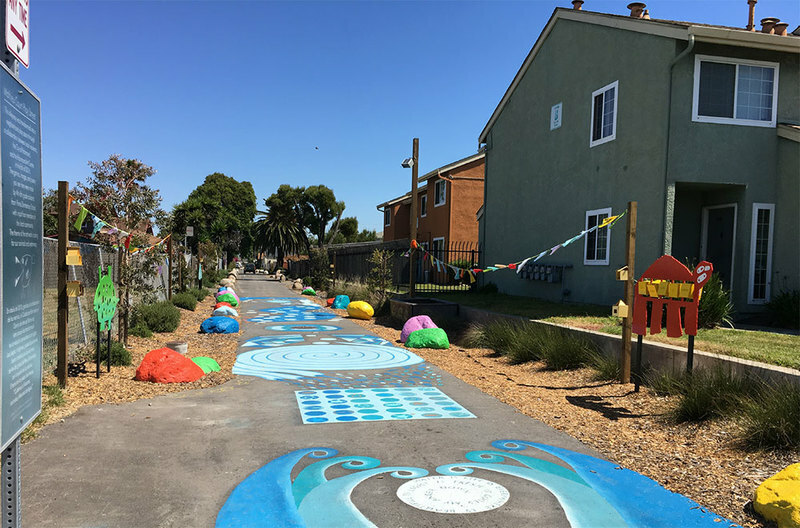 The City of Richmond (COR), Richmond Art Center (RAC), The Trust for Public Land (TPL), & area residents will partner together to paint interactive games & artwork on a recently transformed "green alley" to transform it into a play street where families can have a fun, green, and clean place to play in a underserved and park-deficient neighborhood. 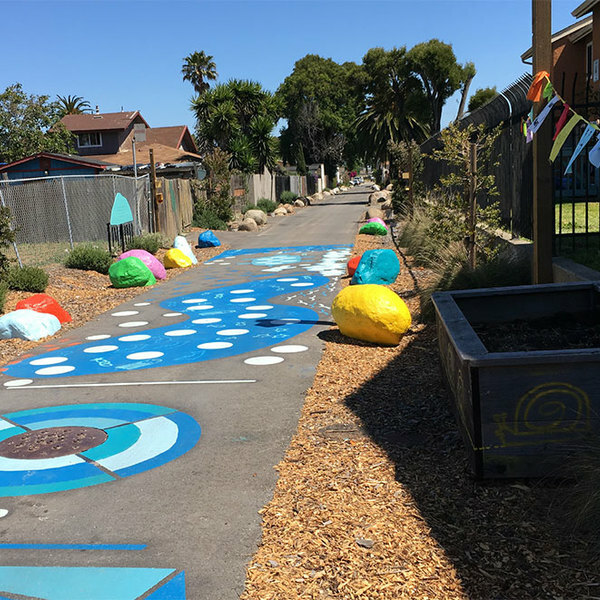 The project partners will host a design charrette to develop ideas for the play street, & then work with artists, local non-profits, & volunteers to implement the improvements. Project partners will select 1-2 Lead Artists with public art & community engagement experience from the RAC's roster of experienced teaching artists. 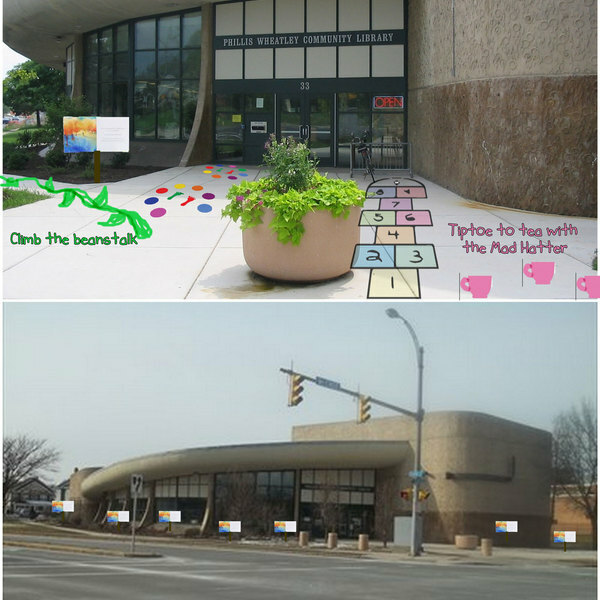 Through RAC's Artists in Schools & Arts in the Community Program, the partners will work with two local elementary schools & youth of the Nevin Community Center to develop and implement portions of the project. 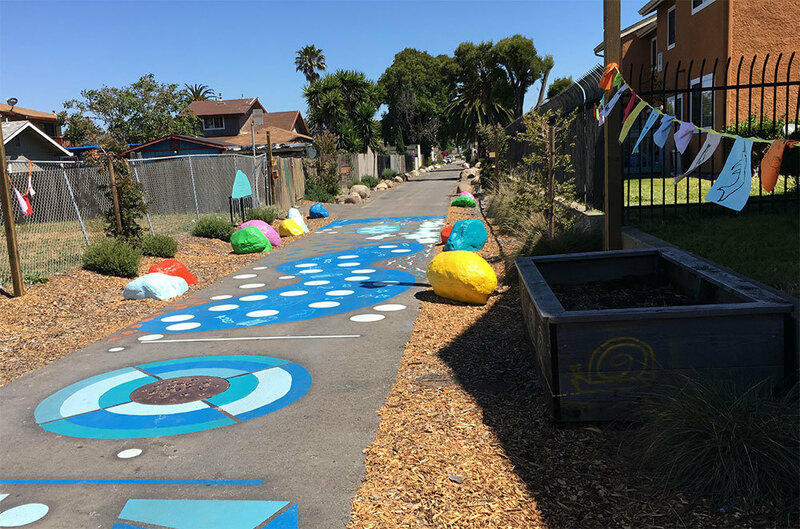 In addition to the work done by K-6th grade students in after school programs, the project lead artists will hold 3-4 community work days in which community members & families of student artists can help install the fence art work & complete the asphalt painting. 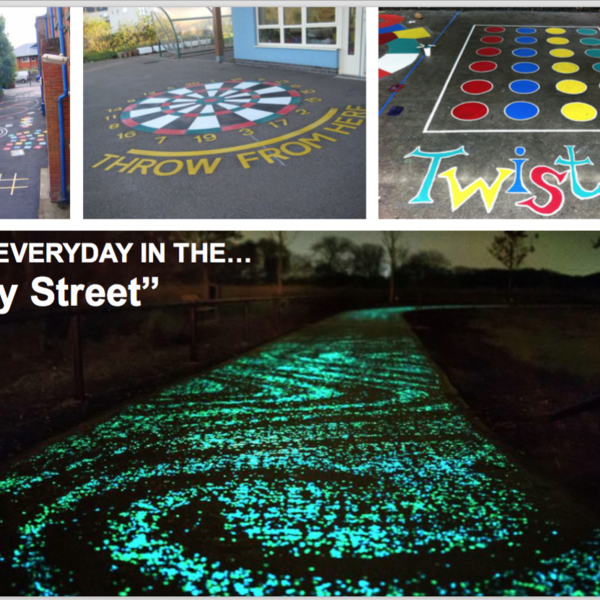 The improvements contemplated include games painted on the ground, a game that will be displayed as fence art, stepping stones for balancing, blackboards for drawing, boulders for seating, community garden boxes with seating areas & interactive educational signs about the green features of the alley, nutrition, and healthy living. 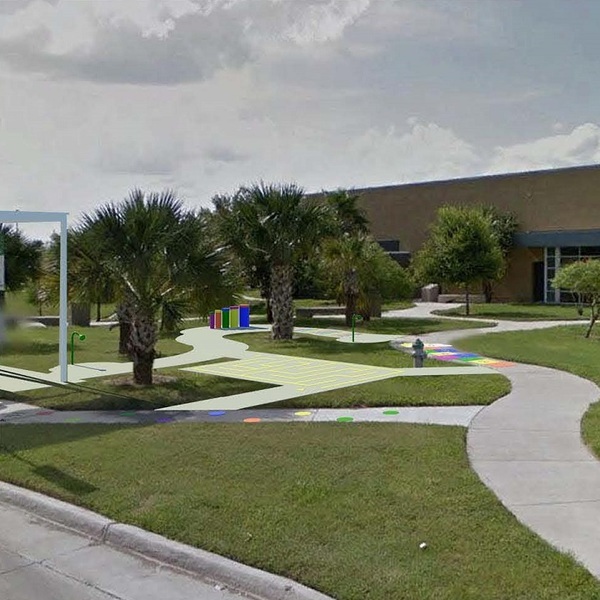 Other improvements include a trash & recycling receptacle, a safety barrier that can be closed when families are playing, & gateway fencing for the play street. The themes of the games will focus on sustainability, nutrition, & healthy living. 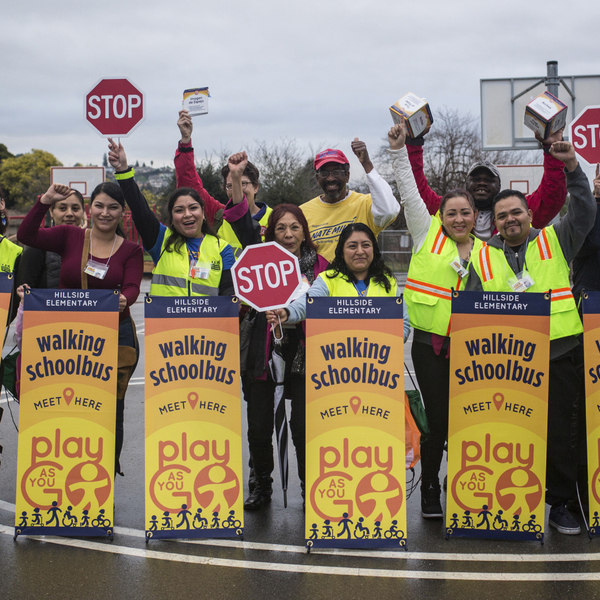 The games & signage proposed will be in English and Spanish to encourage use of this play street by non-English speaking area residents. Prior to the green alley improvements, this alley was a source of blight for this community. 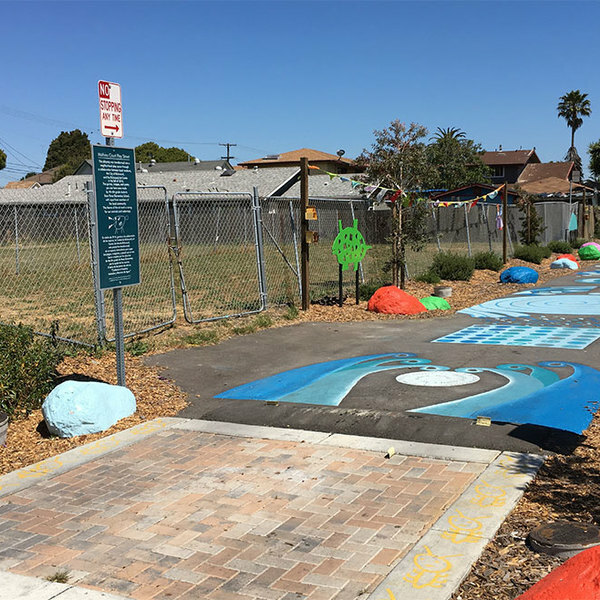 This project will make play a priority in the alley versus vehicle travel and will help create community ownership of the alley to ensure its longevity as a community asset. 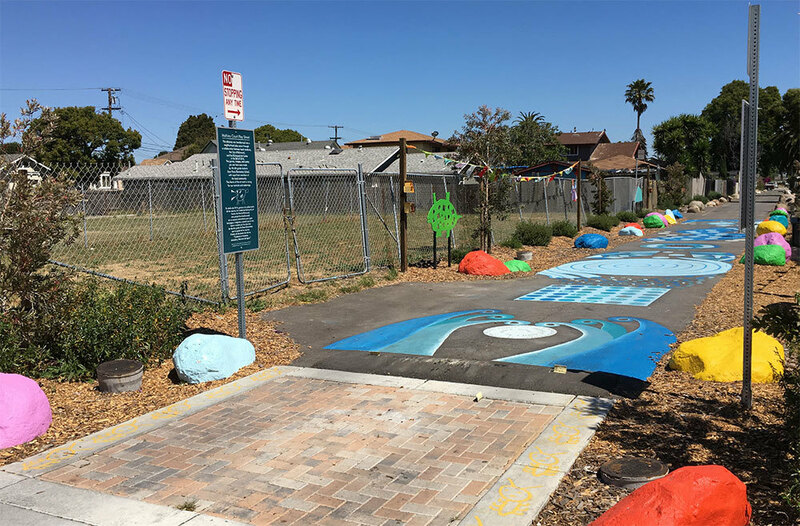 The creation of an attractive neighborhood green & play space will reduce the need for vehicle trips to have opportunities for play and to be physically active in a park-deficient neighborhood. 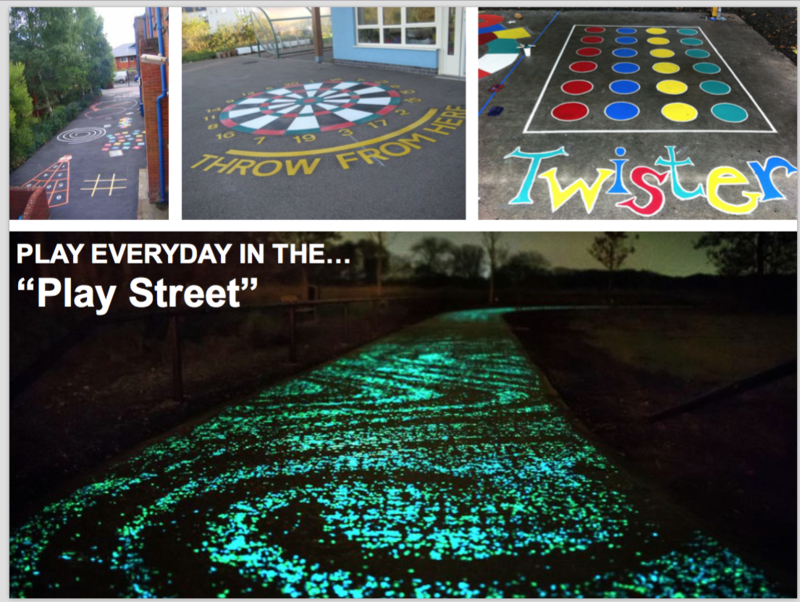 It will also encourage and support the use and enjoyment of outdoor space, enhancing the community & promoting public health.